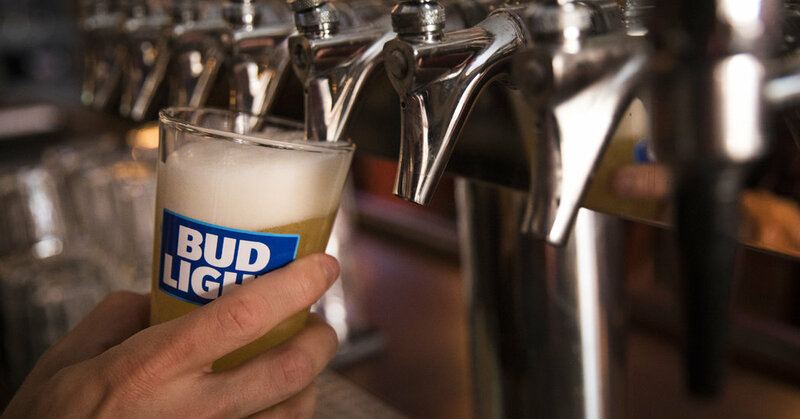 Bud Light made an enemy of the corn industry on Sunday by boasting in a Super Bowl ad that, unlike its fiercest competitors, it does not brew its beer with corn syrup. While corn lobbyists responded in anger, and competing brands fought back, some viewers were left to wonder: Does it matter if corn syrup is used during fermentation? “The bottom line is that the claims regarding corn syrup in brewing are more marketing than science,” said David Ludwig, a professor of nutrition at the Harvard T.H. Chan School of Public Health. Beer is made by fermenting sugar. During the fermentation process, yeast converts the sugar into alcohol. Bud Light’s ad came days after it became the first major beer to start listing its ingredients on its label. It lists just four — water, barley, rice and hops. If you’re concerned about the nutritional value of your beer — and none of it is particularly healthy — there’s no need to focus on the sugars used during fermentation. You can just look at the label: The main considerations are the alcohol content and the final carbohydrate content. “I don’t know if anyone watching the Super Bowl necessarily cares about corn syrup, and it kicked up much ado about nothing,” Ms. Clark said. “This effort is to provide consumers transparency and elevate the beer category,” the company said. High-fructose corn syrup was introduced in the 1970s as a cheaper alternative to sugar, and it was rapidly adopted as a key ingredient in sodas and other high-calorie foods. The corn industry has consistently pushed back against studies suggesting it is more harmful than sugar, spending tens of millions of dollars in lobbying to influence public opinion. The United States Food and Drug Administration says it is “not aware of any evidence” that there’s a health difference between high-fructose corn syrup and other sweeteners like sucrose or honey. A Harvard publication and the American Heart Association came to similar conclusions, focusing on sugar intake instead of the specific type of sugar. “If you’re concerned about your health, the smart play is to cut back on added sugar, regardless of the type,” according to the Mayo Clinic.